Beer lovers take note. A new North Carolina Brewery is opening up in downtown Wake Forest this weekend! I plan to visit the brewery soon and will share my pics with you here on my blog in a future post. In the meantime check out the official press release below for all the details about this latest addition to the local beer scene. 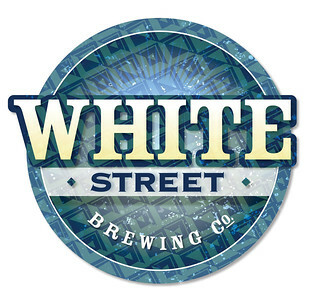 White Street Brewing Co., Wake Forest’s first brewery and North Carolina’s 70th, welcomes the public to the opening of its taproom on Saturday, September 15, noon – midnight. The 4,000-square-foot beer manufacturing facility, located at 218 South White Street, will produce 1,200 barrels (Bbl) of craft beer annually with capacity for up to 4,000 Bbl/year. Initial offerings will be White Street Brewing Co. Pale Ale, Scottish Ale, Black IPA and Kolsch served in flights, pints and growlers. Ales and lagers will be added by season and at the discretion and creativity of the head brewer. The craft beer will be self-distributed by the brewery and sold in bars, restaurants and other establishments in addition to what’s served in the on-site taproom. “White Street Brewing Co. is thrilled to be part of the vibrancy of our historic downtown and the craft beer renaissance,” says Dino Radosta, owner of the new brewery with his wife, Tina. “The unique setting of the beer factory combined with the taproom is a first for Wake Forest. We invite beer enthusiasts and others to visit us as well as request White Street Brewing Co. beer at their favorite establishments,” he adds. The microbrewery is in a building that was originally a 1930’s automobile dealership. Throughout the years, it was many things, including a furniture store, repair shop and vintage car sales showroom. Radosta, who owns three buildings in downtown Wake Forest, began renovations for the brewery in January 2012 and received the certificate of occupancy in July. Brewing commenced and was perfected in preparation for the Sept. 15 opening. The beer manufacturing equipment is in full view of the taproom for an overall open space that features original brick walls and an exposed ceiling. The 36-foot-long, wrap-around bar is made of hand-stained red oak. Dart boards occupy a nearby wall for one of the many activities and events that will take place at the brewery. Sodas and snacks will be available and food can be brought in or ordered from nearby restaurants. The brewery does not have a full kitchen for food service. White Street Brewing Co.’s Head Brewer Chris Bivins recently moved to Wake Forest from Atlanta, where he worked as a brewer at a local pub and homebrewed while he earned a finance degree from Auburn University. To learn more, visit www.FaceBook.com/WhiteStreetBrewing or WhiteStreetBrewing.com. Moving from the Pacific NW, I wasn’t sure there would be places to pop in and sample craft beer. Thanks for sharing the opening of this new brewery – its sure to become a trend….we’ll begin to see more and more in the coming years! Glad I could help. There is actually a small but healthy and growing craft local beer scene in the Triangle. Some other local breweries you may want to check out include Fullsteam in Durham, Big boss Brewery in Raleigh, Lonerider brewer in Raleigh, and Roth brewing in Raleigh. All of them have tasting bars. I also recommend checking out the beers at Bull City Burger And Breweryvin Durham. They make some great beer there!